NARS launched yet another iconic art-centric cosmetic collaboration for its holiday collection. This time, with French photographer - now something of a grande dame - Sarah Moon. I googled Sarah Moon and there came a series of soft, enigmatic, dream-like images that would make one feel something — almost like hypnagogia. The melancholic romanticism of Moon's photography is instantly gripping. Her work has a nebulous, ethereal quality that's almost abstract and is more akin to Impressionist painting than glossy photography. Barring her unique photographic style, two things set Moon's work apart: the intensity that is constantly apparent and the skillfully captured mood and drama. She's always after the elusive moment — most of the time melancholic, sometimes macabre even, but always stimulating: "My technique is still to set the scene, to get the mood and the atmosphere right and then to wait and see what happens, hoping for the accident that will provide the correct moment to expose the film," she mused in one of her interviews. Her images, which are often characterized by porcelain-perfect Romanesque models and fantastical landscapes, are very rarely retouched, never trying to make her models appear more beautiful: "They are beautiful and it is my job to work with the light. I don't feel it is my place to make any sort of moral judgement on people who choose to work in that way, but I suppose it does falsify the approach to a human being." 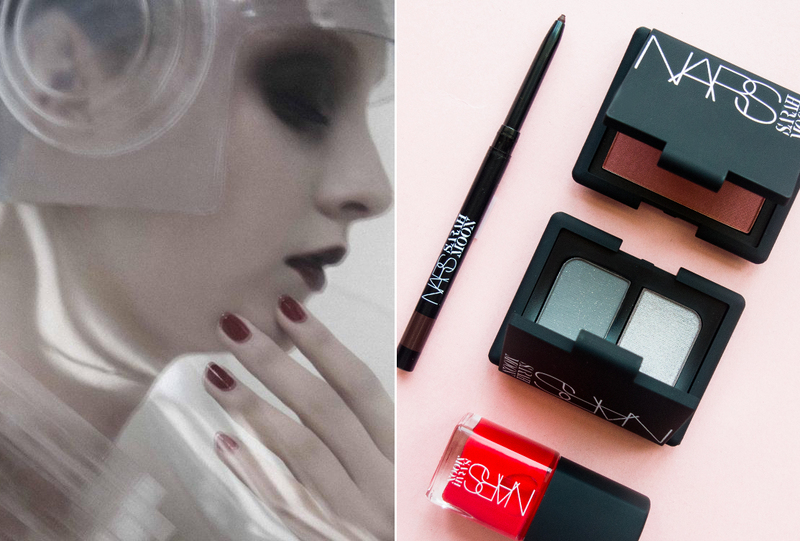 In her collaboration with François Nars, drew inspiration from the iconic cinema, drawing on the nostalgic, and rather unsettling, futurism of Fritz Lang's Metropolis. The campaign images are set against a bleached background with the models are transmogrified sultry, alabaster cyborgs clad in pellucid helmets and bodices donning blood red lips, matte smokey and metallic plum eyes and Merlot-hued nails as the only shots of color. 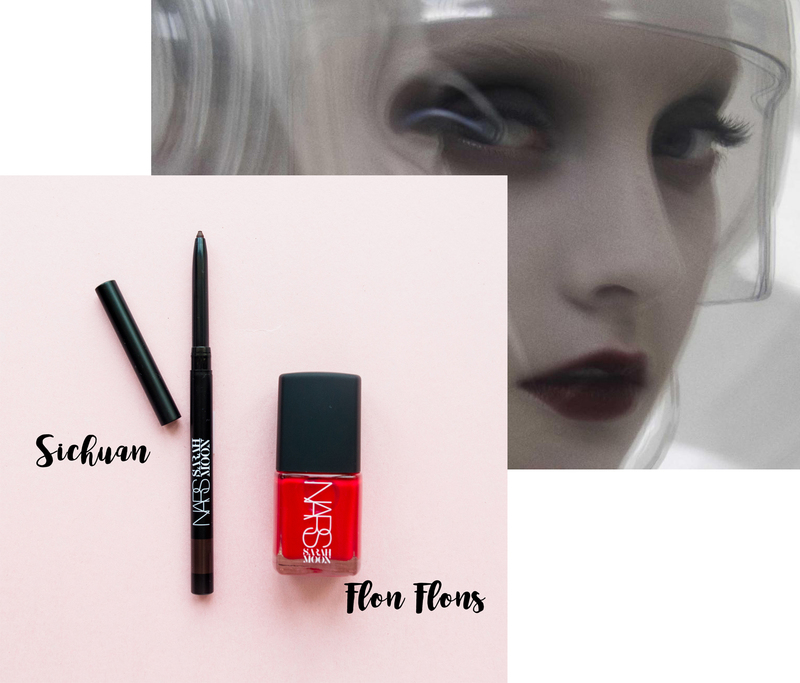 Both Moon and Nars, who are both known for their art-centric collaborations, are drawn into unconventional beauty; the jolie-laide as the French would call it, the kind of beauty that does not focus on "prettiness" but on emotion - less pretty or cute, more strange and interesting. This what both the artists are always seeking to tell, whether through makeup or photography — or both at once. Never before has a cosmetic campaign been quite so beguiling. The limited-edition 25-piece holiday collection features seven gift sets, aside from the usual Colour Collection. It consists of sets with interesting product combinations, some with generously-sized minis of the brand’s cult-fave pieces. The aim: to expose every facet of the feminine through ethereal imagery and otherworldly range of colors. 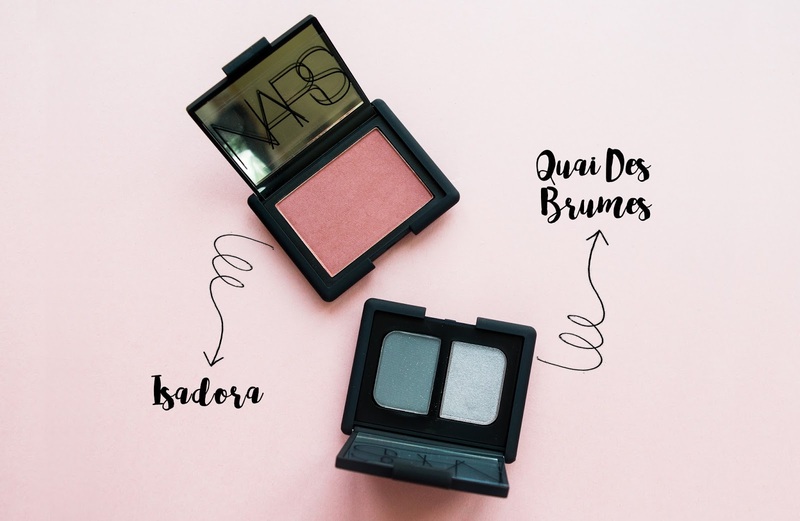 Pictured below: NARS Blush in Isadora, Duo Eyeshadow in Quai Des Brumes, Kohliner in Sichuan, and Nail Polish in Flon Flons. nice to see this post! keep sharing such type of post.